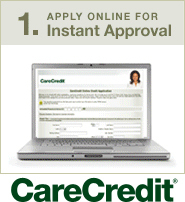 No Reason to Wait – Apply for Financing through CareCredit to arrange financing for your cosmetic treatment. Choose plans from 6 months to 60 months. There are no upfront costs, no prepayment penalties, and no annual fees. Get the treatment you deserve, whenever you’re ready. Cosmetic Surgery Hawaii accepts all major credit cards — Visa, MasterCard, American Express, and Discover. A personal check is also acceptable provided it is submitted two weeks prior to the scheduled date of surgery. Payment for procedures involving insurance coverage are not applicable since our services our for Cosmetic Plastic Surgery.